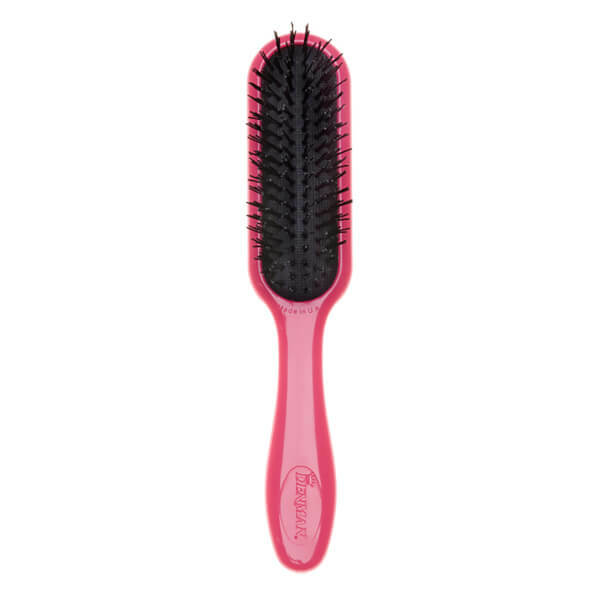 Quickly and gently detangle locks with the Denman Tangle Tamer, an innovative hairbrush that utilises unique Soft Bristle Technology to glide through knots with ease. Set within an air-cushioned pad which fits comfortably to the contours of the scalp, the flexible nylon bristles expertly brush through wet and dry hair without pulling or tugging for a smooth, sleek finish. 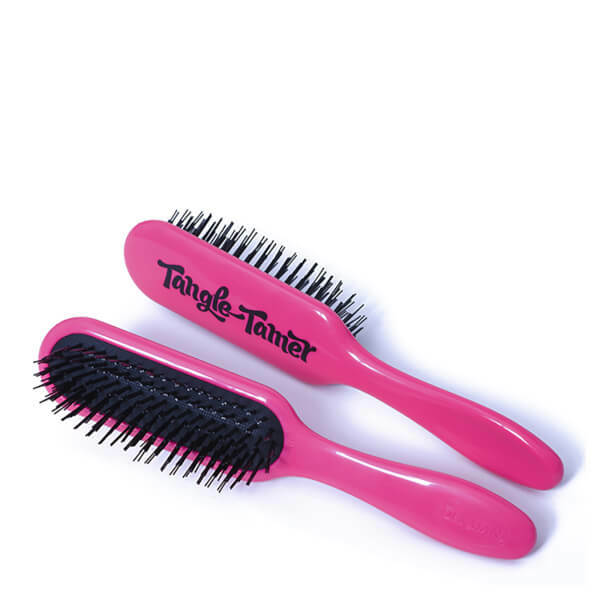 Ideal for children and those with sensitive scalps.